Do you remember Abbey Christ-Rowling, one of our host family volunteer members? And that’s absolutely not all she is: This extraordinary young woman made her dream of going to a UWC come true last January. If you haven’t already done so, you can read about her story on our website and in an article from the Black Press. 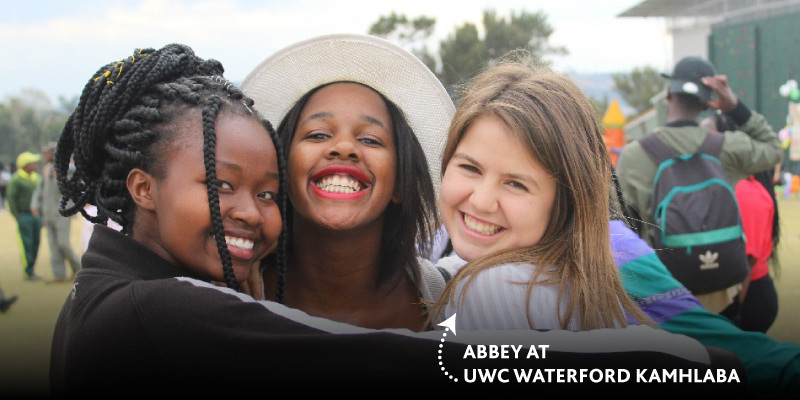 We recently chatted with Abbey (A) about her first year at UWC Waterford Kamhlaba. 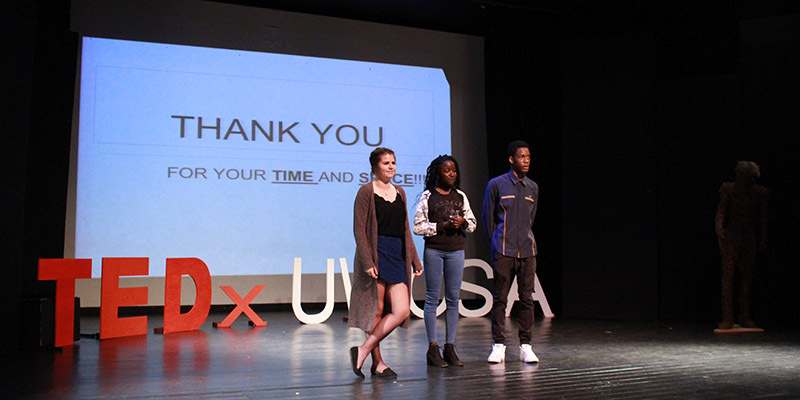 Pearson College UWC (PCUWC): How did you hear about UWC? A: The small community I live in, Metchosin, is heavily influenced by the spirit of UWC, specifically Pearson College UWC, and inspired my family to become a host family more than 10 years ago. However, it was not until I went to the summer short course on the Pearson campus, Pearson Seminar on Youth Leadership (PSYL) in 2016 that I decided this was not only a community I would like to support, but it was a community I would like to be a part of completely. PCUWC: How was the application and selection process for you? A: The application itself was really interesting as it was not what I expected. I spent a great deal of time reflecting on my values, priorities and it evoked various thoughts and emotions. Even if the outcome (of being selected) had not been as successful as it was, I would still be grateful for being able create an application that taught me so much about myself and that I am, even now, wholeheartedly proud of. The selection process was mildly intimidating, as it would be with any such process, I assume. I was, however, surrounded by so many like-minded individuals with similar goals. It was those people who shifted the dynamic of the process from the scariest day of my life to become the day where I met some of the most influential people I have had the pleasure to know. A: As much as I thought I could prepare, physically and emotionally, nothing could have prepared me for such an incredible, intense and life-altering experience. My first year at UWC Waterford Kamhlaba was full of so many different experiences, opportunities and most importantly, amazing new people. 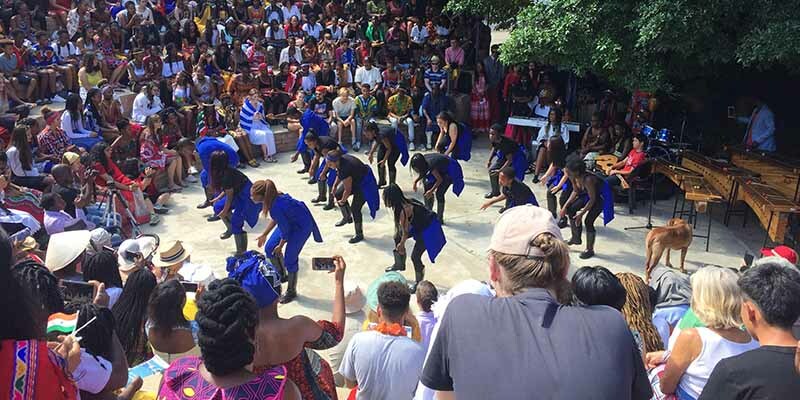 I don’t think I can properly sum up this year, but I will say that it has opened my eyes in so many ways through the people, place and the entire UWC movement. PCUWC: What would be your most memorable experience? A: There are seriously way too many to choose. Being at Waterford is so special and hard to define. However, I think one of my most memorable experience was in August when my mom came to visit. I was finally able to share this wonderful place with her and introduce her to the people that are now a huge part of my life. PCUWC: What are you looking forward to over the break and the next year ahead? 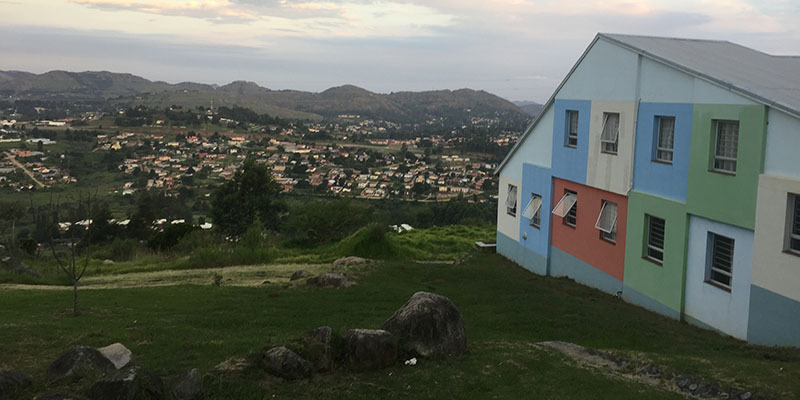 A: I’m looking forward to seeing my family over the winter (Eswatini summer) holidays. Although I love being here, there is nothing like the freedom of being in my own, comfortable country surrounded by my family. However, even with the thought of going home, I am already excited to come back for my second year. I am looking forward to having another Canadian student joining me and spending one more year in this unique community and beautiful country. PCUWC: Can you already think of any plans for your future? A: I have a few plans for my future, but the are mostly vague ideas. I want to go to university for sure and most likely in Canada, but I’m not set yet on what I want to study. In addition, I know that my life will be full of travelling, it already is, and I hope to continue that. Thank you, Abbey, for sharing your experiences with us. We are so proud that you are part of our extended family, with you being a PSYL alumna, a host family member and above all, a UWCer!